Facial aging can drastically change your appearance over time, causing you to look older than you feel. Facelift surgery can rejuvenate your appearance to reflect how youthful you really feel and restore your confidence. A facelift is the ideal procedure to correct loose, sagging skin in your mid and lower face, deep creases and fine lines around your mouth, and sagging along your jawline and in your neck. 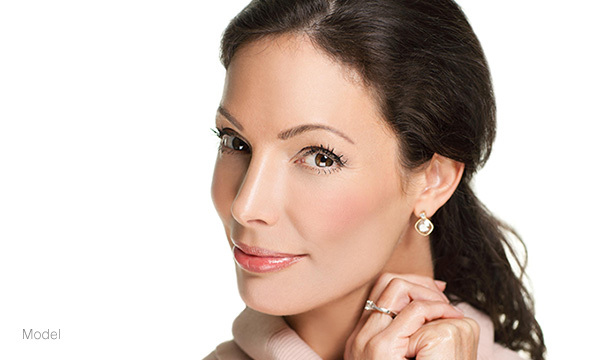 With facelift surgery from Dr. Rudolf Thompson, you can achieve smoother, younger-looking skin. Dr. Thompson is a double board-certified plastic surgeon and is passionate about helping you achieve your cosmetic goals. A facelift can reverse signs of aging in your mid and lower face, revitalizing and brightening your natural facial appearance. Multiple problem areas can be corrected at once, creating natural-looking harmony between all of your facial features, which is why facelift surgery continues to be a popular procedure for restoring genuine youthfulness to the face. Your skin’s texture and volume may have been negatively affected by sun damage, smoking, and aging. Even the most popular anti-aging creams and serums cannot provide the youthful complexion you long for. A facelift is an effective procedure for eliminating unwanted wrinkles, adding volume to your skin, and tightening the tissues beneath your skin for a smoother facial appearance. Dr. Thompson will assess your unique facial anatomy to determine which techniques will complement you the best. Because facelift treatment addresses the skin at the neck and jawline, it can reveal your stunning bone structure beneath. A facelift can enhance the natural contours of your face, and it can be customized to suit your individual needs. As a double board-certified plastic surgeon, Dr. Thompson is an expert in determining if you are the right candidate for a facelift. During an extensive and detailed consultation, Dr. Thompson can help you decide if a facelift is right for you based on your health history, the anatomy of your face and skin, and your expectations for surgery. As you share your desires and refer him to the areas you’d like to receive treatment, Dr. Thompson can create a customized plan for you. If you’re unsure of whether you are a candidate for facelift surgery or not, Dr. Thompson can help you decide which facial rejuvenation procedure is best for you. What is recovery like after facelift treatment? During your personal consultation, Dr. Thompson will discuss with you what you can expect during your recovery based on your individual treatment plan. A bandage will be placed around your face to minimize swelling, and Dr. Thompson will prescribe medication to manage any pain or discomfort. A drainage tube may be used to remove any excess blood or fluid that collects under the skin. You should plan to reduce your activity and take time off from work for at least two weeks. Strenuous activity and direct sun exposure should be avoided for four to six weeks. For the best results and the shortest recovery time, be sure to follow your surgeon’s postoperative instructions. As with any procedure, there are some risks involved with facelift surgery. Dr. Thompson will go over these with you and answer any questions you may have during your personal consultation and pre-operative appointment. Your naturally youthful results will be visible once the swelling has subsided. Patients may experience swelling that can last for several months. Results are long lasting, but this procedure does not prevent the continuation of natural facial aging. Commitment to a healthy lifestyle and regular sunscreen usage will help maintain your results. Our staff is ready to answer all of your questions, assist you with scheduling your personal consultation, and start you on the path toward achieving your ideal facial aesthetic.